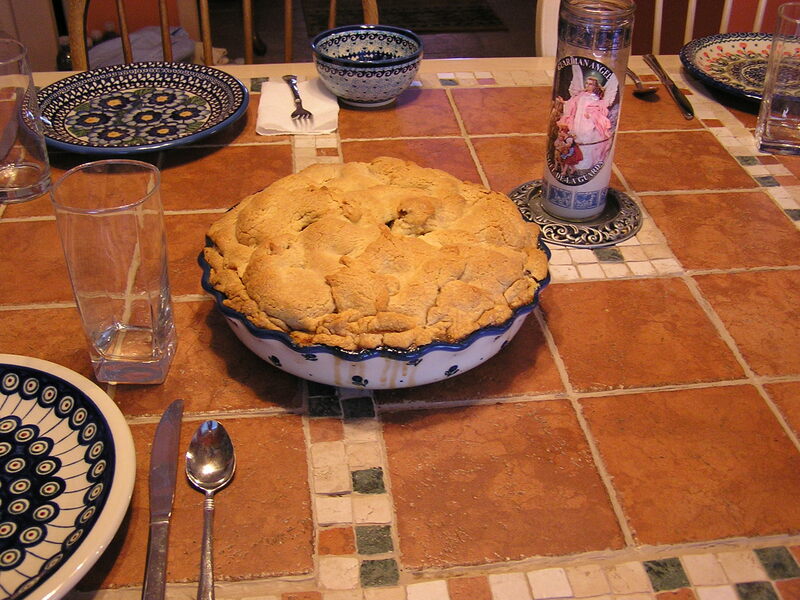 The biggest apple pie I have ever made in my mother’s ridiculous polish pottery dish. Pretty delicious I must say. It held 8 gigantic Granny Smiths. 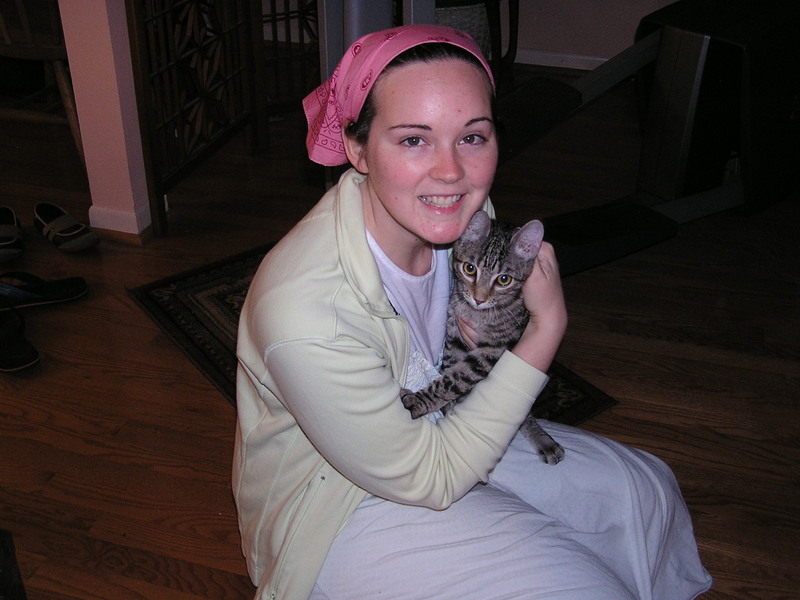 That would be me and our newest addition to the family, Winston – my daddy’s “replacement” kitty. He is about 5 months and adjusting nicely. He’s much more frisky than our old lobotomised Todd but looks almost the same. 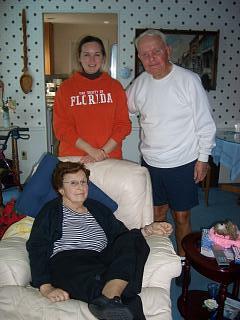 The maternal grandparents (“Gussie” and “BJ”) and me. To the right you’ll notice a silly pair of bear earmuffs my grandma tried to give me. 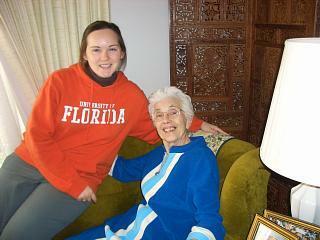 My “Aunt” Rosi and me who lives across the street from my grandparents in Merritt Island. She’s really just a good friend of my grandma’s, not my aunt, they met as military wives overseas. She’s originally a New Yorker and has a fabulous accent. Emu, this weekend we let Winston out of his temporary bathroom/bedroom to see how he would behave. He is a jewel! He curled up with mom and me in our bed and was very “snug.” He got a little frisky (swatting lamp chain on the lamp on the night stand, knocking over the DVR and cable box etc), but no more than expected for a kitten. He sits by my arm when I’m at the computer. Hmm, the giant pie was GREAT! !